One the best things you can do for your blog and your online presence is create a Google + profile and link it to your blog and then link your blog to your Google+ profile. But what happens if you want to claim authorship for a blog in Google and you realize that you already have another Google account under your name that you want to keep private? Or if you want nothing to do with Google+ but Google has created a profile for an email or other Google account that you do not want to make visible? Here is how to remove profile visibility in Google Search for Google accounts you want to keep private. 7. 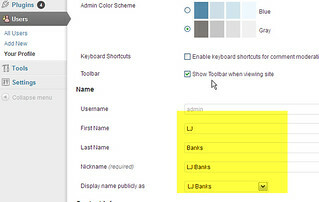 Save and exit and that should remove your personal profile from search. 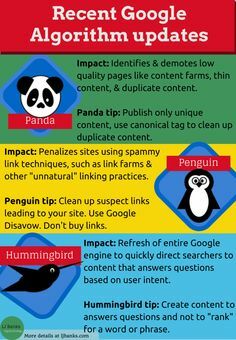 I came across this article, AuthorRank could be more disruptive than all of the Panda updates combined, this morning and decided it was time to practice what I preach. I’ve been advising our bloggers to link their blogs to Google+ as well as work on their Google+ visibility, and this post persuaded me it was time to update my blog. There is a great Rel=Author Step By Step Tutorial For WordPress here for people who may not be on Google+ yet and it may work for most people. 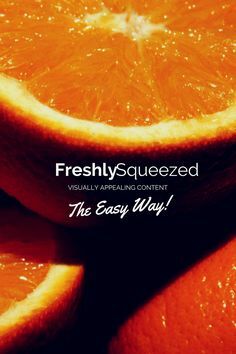 But the instructions vary depending on your blog host and your theme. I host my own wordpress blog and it just so happened that I’m using a theme that does not support menus or allow for automatically adding a bio to each post. 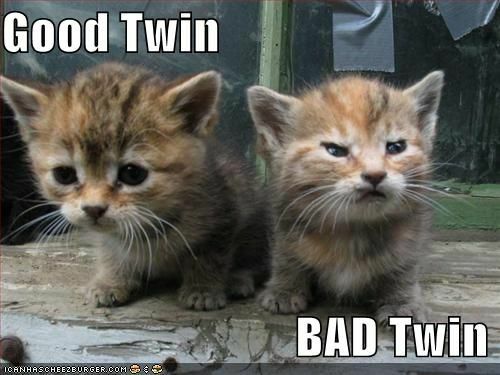 And despite the fact that it probably is time to update my blog theme, I was not feeling it this afternoon. Error: Author profile page does not have a rel="me" link to a Google Profile. Learn more. I linked my “Contributor to” to field in the right nav of my Google + profile page to my “About” page on my blog. Then I linked my blog to my Google Profile. To do this I added a badge with a link to my Google profile in my sidebar. However, if you use this tool to create a badge it will give you a “rel=”author” and in my case I needed a “rel=me.” Easy enough to change, but something to keep in mind. 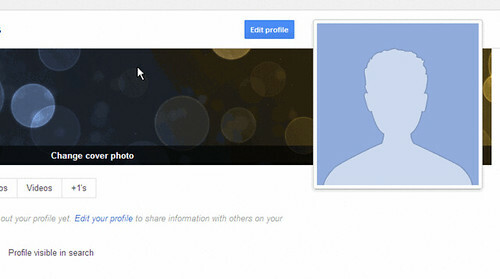 The Google instructions for tying your blog to your Google + profile did not make that part clear. Now I can make recommendations to our bloggers with a clean conscience. And it was a good exercise for me to set my Profile up to claim my own blog posts and start tying the topics I post about to my name and increasing my ownership and hopefully future visibility in Google. Today’s search engines are leveraging social signals. For the past year, the search engines have been aggressively integrating social features into their SERPs. Why should companies care? One reason is reputation management. It is now more critical for companies to think about their brand and reputations not only with social media initiatives, but with SEO as well. So how can companies actively leveraging social media programs drive SEO benefits? How can brands generate popularity and loyalty by optimizing social media content for SEO success? This session will provide many of the answers. Attendees will take away new ideas for identifying tactics and strategies for effectively integrating SEO and earned social media efforts. I keep coming back to this article 2011: The Year Google & Bing Took Away From SEOs & Publishers in response to questions about why some metrics seem a little wonky, why we are having trouble monitoring our links, and why we can’t use Google result totals as measurements of keyword interest when Google Adwords does not have enough data. Luckily, there are some other options to look into as well as suggestions for possible workarounds. I’ve started using Blekko for some of the same functions Google once provided and although Blekko is not perfect, it is certainly much more transparent with its data. Here are a few links for guidance in getting started with. One hint, creating an account is free and gives you access to all sorts of data and tools. Blekko’s SEO Tools: What Information Do They Provide? Google Y U NO LIKE SEOs? Google will begin removing keyword information in referral data from signed in users. And this is how I came to be converted to Linux. Randomly, in my desperate searches I came across this article Use Ubuntu Live CD to Backup Files from Your Dead Windows Computer. The directions are extremely clear and I was able to go to the Ubuntu site, download Ubuntu Live, use Disk Utility on my Mac to burn a disk, and then boot my Lenovo with the disk (one tip, Lenovos and Thinkpads often require you to hold down f12 to boot from a disk). I was lucky, because I was able to access my Windows files this way and download them all onto my external HDD (and yes, it would have been great if I’d done that before my laptop crashed). I also bought a harddrive enclosure and attempted to access my old HDD that way once my new HDD was installed, but it would not be recognized. I imagine YMMV, so that is also an option if booting from Ubuntu does not work for an installed HDD. I’ve never been a proponent of manual rank checking (I’ve also called this “canned ranking checks”) as a reliable KPI for Search Marketing success, but with the “upgrades” to Google results in the form of personalization, my recommendation is that all manual rank checking be discontinued. As Conrad Saam noted in SearchEngineLand last month in Excuse Me While I Have A Ranking Report Rant , ranking reports “convey progress while hiding failure. They distract from business goals and promote the misallocation of resources.” Personalization is one of the major factors as to why ranking reports are essentially a waste of time. 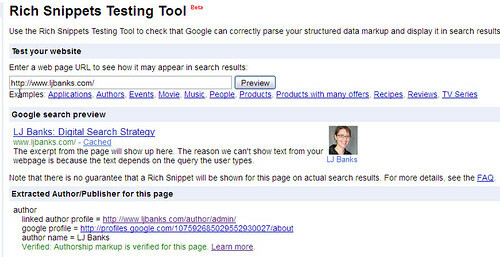 At SEMPDX’s SearchFest 2011 last week, Chris Sherman stated that personalization of results in Google is now the default. There is no way to completely turn off personalization and 60% of the results in SERPs are based on your secret Google “profile” based on your location, your search history, etc. You can’t get a “clean” ranking report anymore, so I recommend retiring this KPI. Not showing up in SERPs is always a concern, but unless you can exactly recreate the experience of your potential audience in your own search results, your real and actionable data is in referrals to your site from Google. This is basic SEO, the goal of Search marketing is not #1 results in the SERPs; the goal is driving traffic from search engines to your site and gaining an audience of users with optimized content relevant to their searches. Like many Digital marketers, I like data and I like charts. Getting access to the raw data and being able to play around with it is one of the best parts of working in Search (although I will also admit, a marketer with access to raw data can be a very dangerous thing). You don’t have to upload your own data, you can also play around with existing data (and any data uploaded is fair game for other people to visualize with). You might say that Many Eyes is the perfect tool for those too lazy to put together their own graphs, but it has much more functionality than just graphing — you can make word clouds, map graphs and all sorts of cool stuff. And it’s also a good place to get started with graphs — especially if you have data, but not a lot of experience putting together visual representations of the data. This Wednesday I drove out to my local IBM HQ to get a new badge. After 10 years, my magnetized badge no longer works with most of the new badge readers. I had to turn in my old badge, and when I hesitated a moment in handing it over to the security guy who made my new one, he was apologetic. Apparently I’m not the only IBMer who feels nostalgic about his/her first badge. But it’s not really the badge I’m nostalgic for, it’s the me I was a decade ago. Ten years ago I came into IBM as an intern with training in Usability and Testing, Technical writing, and HTML. I was so proud of my HTML skills. I had several Geocities Web sites and a blogspot blog. I cringe now when I think of the graphics and the coding and the silly stuff I posted to the internet (in Web 2.0, you post pictures of your cat on Facebook, not your blog). Mercifully, Yahoo finally put those Geocities sites out of their misery a year ago. And the good thing is, I have learned so much in the past 10 years that those early sites do not reflect who I am and what I know anymore. Ten years at one of the largest technology companies in the world, working with some of the most talented developers, marketers, and business people in the world (seriously), has taught me a lot. Over the years, I have learned how little I know (apparently there is more to the Web than basic HTML) and how valuable it is to surround myself with a team of people who know more. And the best teachers I’ve had at IBM were the people who never came right out and pointed out the gaps in my knowledge, but instead patiently walked me through what I absolutely needed to know to get my job done. I cannot thank those people enough — especially knowing that initially, I probably pissed a lot of them off coming in with my “great ideas” without a clue of what needed to be done to implement them. My decade of learning experiences (many of them painful) have not made me give up on “great ideas” but I have a better understanding now of what it takes to be a good colleague in a large, multi-skilled, multi-country and time zone organization. And one action I’ve learned is key no matter where you sit in the organization is to be respectful. Some people call this by different names — having patience, being flexible, practicing kindness, etc. But if you always have Be Respectful at the top of your ToDo list, you will come to the end of each day with more goals reached and more of your humanity intact. And being respectful helps you create those teams of smart people you need to surround yourself in order to complete those complicated projects. Some days it’s hard to remember and I let my eagerness to get the job done at any cost get in the way of being my most respectful self — I’m not perfect. But each day is a work in progress.